Diplomatic relations between Cuba and the US are being re-established. This should not be deemed remarkable, though the infantile paranoia of Washington’s politicians, strung along by the strong Cuban-Florida lobby, has made it so. Countries and regimes can always disagree, but the disagreement between Washington and Havana was so acute, it led to assassination attempts, espionage and embargoes against the island state, and, let us not forget, a serious flirt with possible nuclear war. The occasion for these latest events centred around the release of Alan Gross, who had been in Cuban custody for five years and an intelligence asset, admitted by President Barack Obama as one of Washington’s most valuable deployments against Cuba. He had been held for twenty years. Three Cubans held on American soil were also released. Importantly, it was also a case of timing – Obama is biding time in his last months of office before the next election campaign, and was keen to catch Congress, or at least a good deal of it, napping. Both Rahul Castro and Barack Obama spoke in synchronised fashion as the events unfolded. Castro even went to far as to suggest that Obama deserved “respect”. Obama, in turn, suggested that “isolation has not worked” and took the option that other presidents had been waiting for: move towards some basis for normalising relations. The nature of such normalisation is hardly going to be normal. Cuban products will continue to remain out of reach, and Cuban authorities will keep a wary eye on American business as it attempts to press the flesh of the Cuban market. US travellers will still have to go through third parties. Remittances will, however, be eased. The vocal American-Cuban lobby was quick to pour scorn on the normalising gesture, and promise to constrict the funding line to any efforts to alter the balance. Obama has effectively appeased a “state sponsor of terrorism”, claimed Rep. Mario Díaz-Balart on CNN (Dec 17) in tones of signature alarmism. His elementary school book on international relations is entertaining at best, and he insists that anything to do with Cuba has to be jammed into an “American values” debate, irrespective of the fact that Cuba is, in fact, another country. Díaz-Balart even wonders whether Washington should even be breaking bread, or eating rice for that matter, with officials in Beijing. A step back from the euphoria is needed. Not that those who find themselves free, or those who will find their money more easily available for consumption be begrudged of what has happened. The old story about transforming states in the image of Washington’s preferred policy remains. The disagreement has been over means, not ends. What has happened is that, for over five decades, every effort mounted by US business, aid and security to combat the Castro regime, has failed. A country’s sovereignty has been permanently violated, either implicitly, or overtly. 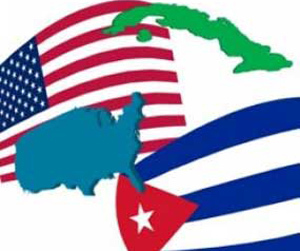 The latest efforts involved the activities of the USAID agency in April to create a social media program designed to foment unrest in Cuba and efforts to implement “ZunZuneo”, a text messaging network directed at Cuban youths. Freedom of press, speech, and association, a full opening of the internet, are the usual mantras of US-driven policy that constitute these violations of sovereignty. It is notable that Cuba’s achievements in the realms of social policy are never noted, the sort of green-with-envy facilities that entail universal healthcare and education. While US citizens continue to perish before the medical bill, despite efforts to resolve the issue, Cubans, for all their local problems, do not have the same issues of access. Literacy levels remain stable and high. Washington’s noisy jabber about a concept its own politicians sometimes struggle to follow, has found form in Senator Marco Rubio’s open indignation. With incandescent rage, he seems to read, in a manner that such legal philosophers as Jeremy Bentham found dangerous, those invisible “inalienable” rights that end up becoming weapons of anarchic worth rather than means of true governance. In his press address, Rubio seemed to think that Cubans are somehow born under a starry US constitutional sky. Rubio does have an interesting angle, one different from his colleagues. He is the insular pugilist, wishing that the United States become a true, sanctions imposing imperialist on all who disagree with its manifest destiny. Do not retreat from that provincial premise: “We are a strong and powerful country,” he tells Wolf Blitzer on CNN. He does not believe that money and goods necessarily produces the intangibles of freedom. Tourists, he claims, do not produce democracy. Not that he is entirely wrong about this. Cuba’s own parlous political system under Batista prior to his deposition by Fidel Castro was a classic example of the problem. American tourists did very little to bring the authoritarian regime of Batista into a blissful, democratic light. Free wheeling spenders have very little to do with liberal ideas. But they do tend to keep the rigorous status quo in place. It has been the staple of American politics for generations that open markets entail opens societies. The authoritarian systems of South America create during the Cold War, the very states that made sure that the vine of democracy withered, demonstrated otherwise. Rubio’s colleagues, in contrast, have been salivating at the prospect that Cuba will return to its status as day time client and night time whore. Money is in the offing; business deals are there to be made. And the classic error in that is the assumption that American businesses are somehow beacons of radiating freedom. This is certainly the view of such figures as Republican Senator Jeff Flake: commerce and more contact, will “open” the country. Sanctions “denied” Cubans access to means of “empowerment”. This lies at the forefront of the US Chamber of Commerce entrepreneurial strategy. Others have more pragmatic views that superficially seem benign. Vermont Senator Patrick Leahy is keen that an embassy be opened in Havana to protect and represent US interests, and makes the relevant point that an embassy in one country does not imply consensus with that state’s government. For all the rage directed at the recent Cuban-US thaw, the advocates on either side of the aisle follow a constant in US policy: the transformation of Cuba and a return to the sylvan idyll of a US presence. Whether that transformation features the Castro regime, or the citizens, is mere sideshow garnish.